**Thank you to Visit Milwaukee for hosting our visit. No compensation was received for this post. All opinions are 100% my own. 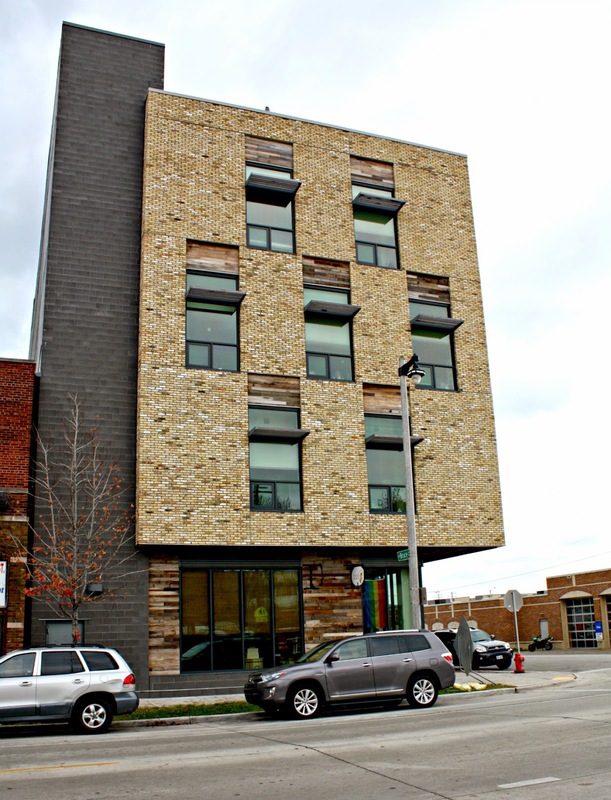 Walker's Point is an up and coming neighborhood in Milwaukee and an epicurean dream. The area has emerged as an incubator for culinary exploration both for those developing new creations and those indulging. 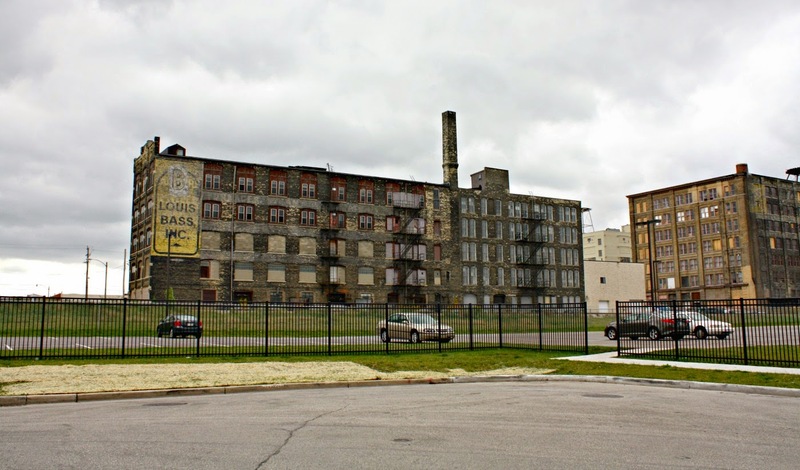 We were fortunate to have some time to walk around this area during our visit along with a guided tour by Theresa Nemetz of Milwaukee Food & City Tours. Upon first glance, Walker's Point may look like rows of old buildings and warehouses. However, a quick walk around and you will see that it is alive. With the local movement very near and dear to our hearts, it was nice to see the passion for creating local products in this neighborhood. The Clock Shadow Building stands as one of the best examples of this thriving local movement. The building itself is a commitment to improving the local community. 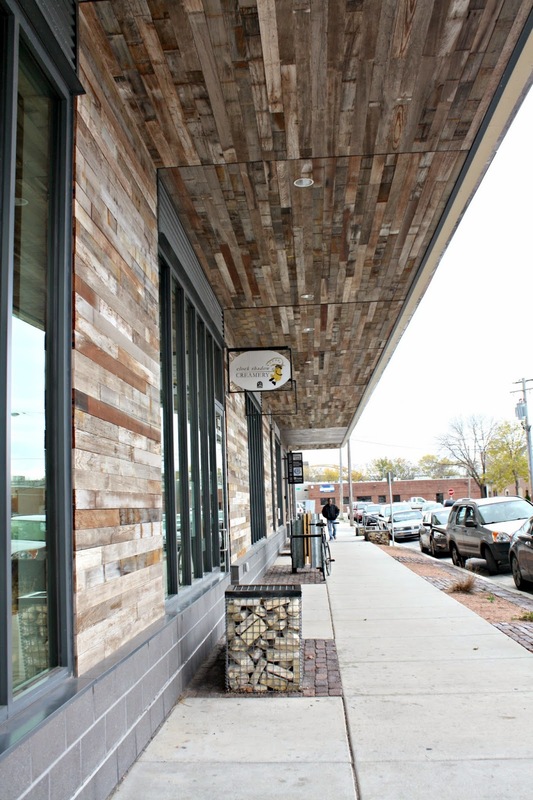 Developer Juli Kaufmann transformed a previously polluted site into a green building serving as a home to new innovators in the food industry. An remarkable building to look at, the Clock Shadow Building is a green construction marvel made with salvaged material, eco-friendly designs and even a green roof! Inside the building lives the Clock Shadow Creamery which has brought small batch cheese making to Milwaukee. Clock Shadow Creamery's mission to bring the freshest cheese made from local ingredients to urban residents reduces environmental impacts. The creamery also embraces its local approach as a way to better educate consumers on how cheese is made with a focus and fresh and natural ingredients. 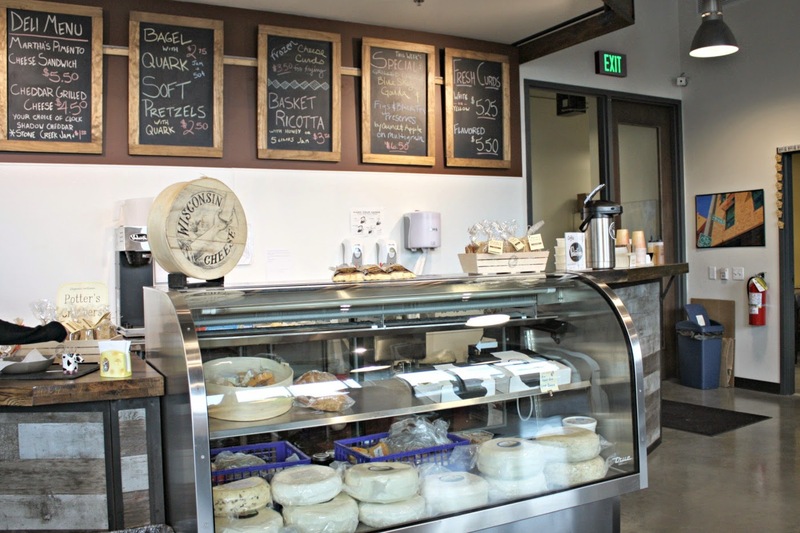 The range of cheese made at this urban creamery is amazing! Of particular note is their unique Quark cheese sporting several different flavors. Definitely try it if you visit! Also, their Handmade Wisconsin Cheese Curds are a must! Certainly smooth and creamy--the type you can't resist! 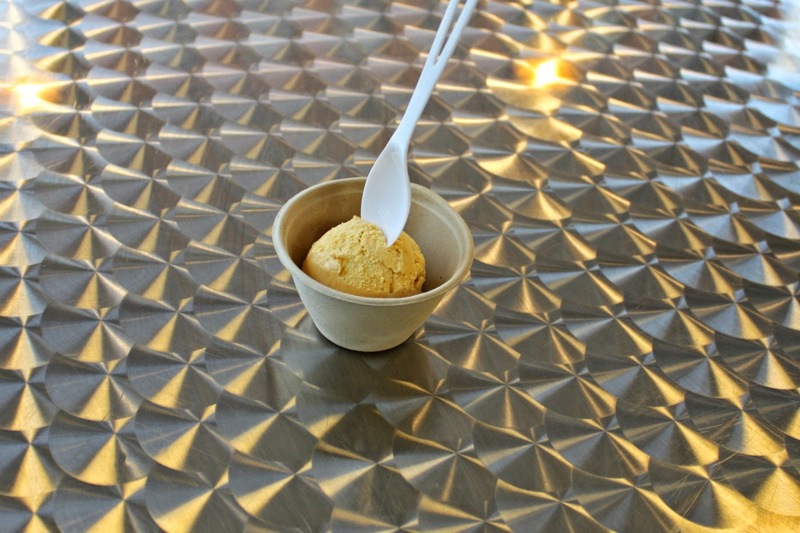 You can also take tours of the creamery but you do need to make a reservation. They cost $3.00/adult and $1.50/child. Another local foodie favorite, Purple Door Ice Cream, began in the Clock Shadow building and has since expanded to a store front just down the street. Just like Clock Shadow, Purple Door focuses on using fresh, local ingredients and operating using environmentally-friendly initiatives. Purple Door began as the childhood dream of owner Lauren Schultz. She and her husband, Steve, launched Purple Door in 2011 shortly after the birth of their first child. 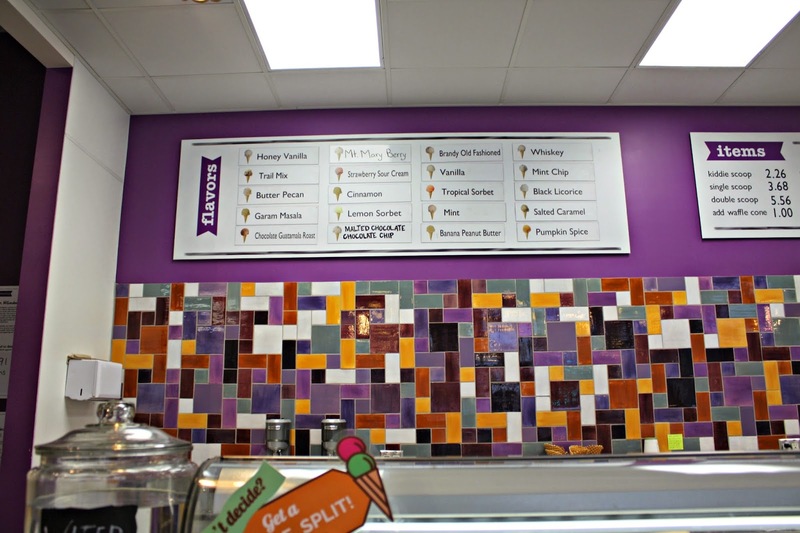 Purple Door started as a wholesale business but now has a fun scoop shop! Ice Cream flavors range from more common favorites to truly unique and inspired flavors like Strawberry Sour Cream and Trail Mix. 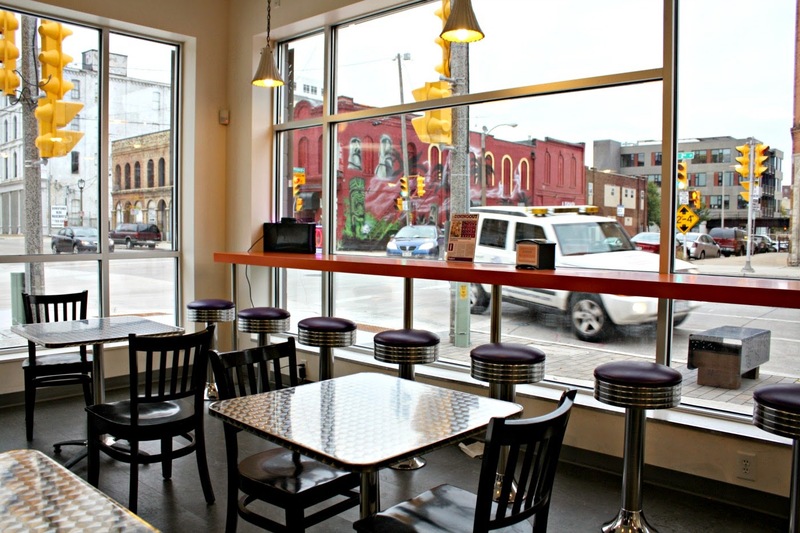 Purple Door serves up premium ice cream with 14% butterfat. Fresh ingredients featuring local favorites really make these sweet concoctions stand out! I tried the seasonal favorite Pumpkin Spice--divine! If you can't make up your mind on a flavor, you can try a flight. Why go home unsatisfied? 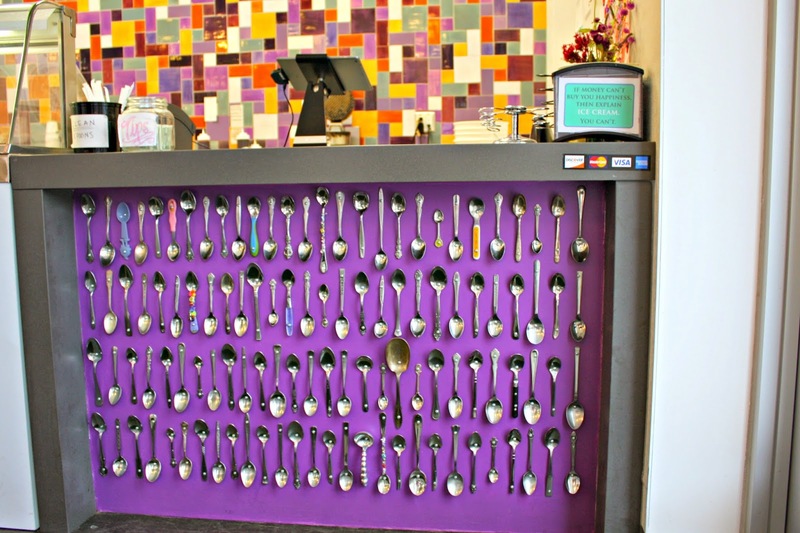 Purple Door Ice Cream also has an interesting counter display of spoons collected from friends and family throughout the world in a display of support. Pretty neat! 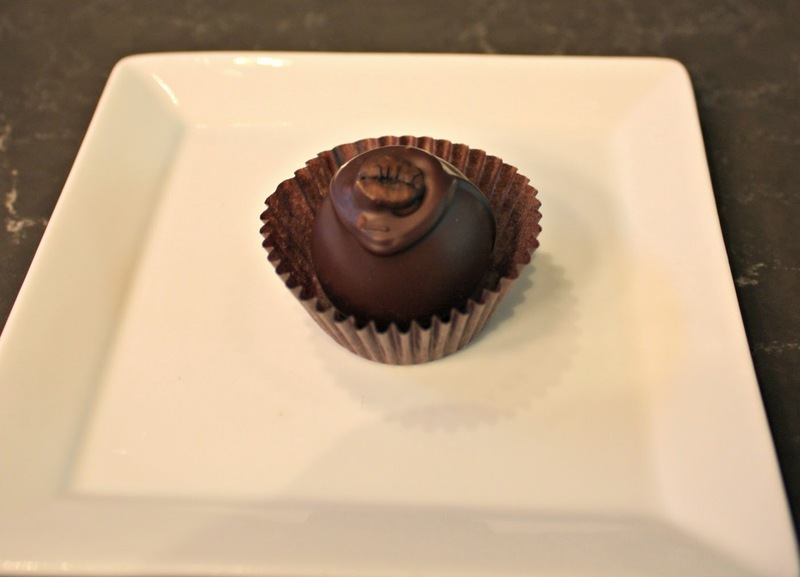 Just footsteps away is another haven of heavenly delights--Indulgence Chocolatiers! 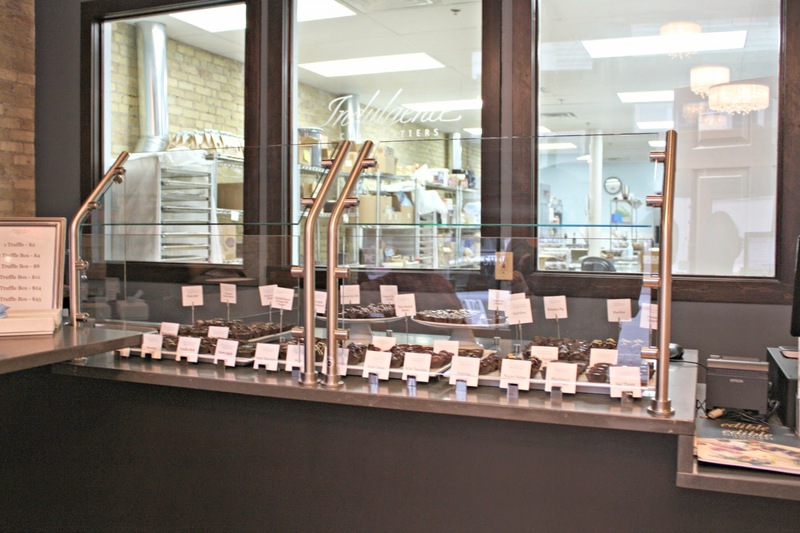 When you find a chocolatier named Indulgence, you know that you are in for something truly decadent! 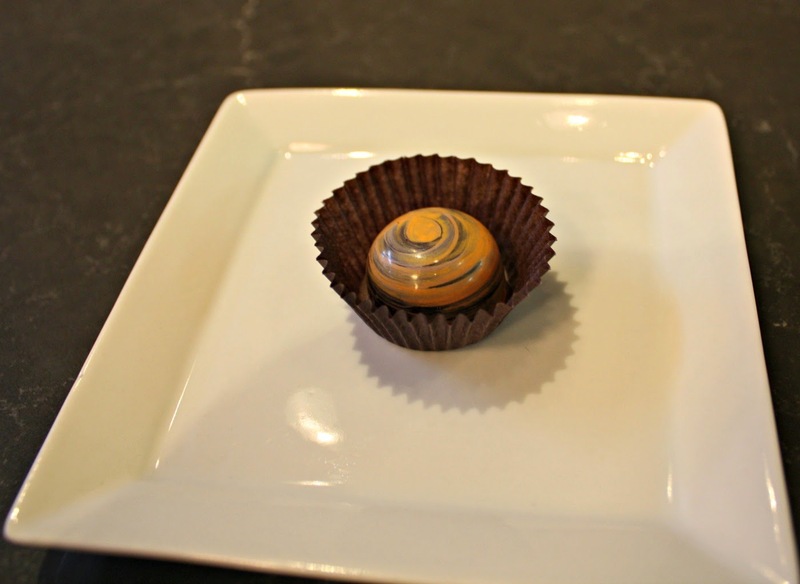 In the true spirit of the Walker's Point community, owner and chocolatier Julie Waterman stresses using the freshest quality ingredients as well as incorporating local ingredients. Chocolates are made on site, so you may able to see some of the magic at work. Plus, Indulgence has a really cool tasting bar were you can enjoy chocolate paired with wine, beer and other spirits. For an interesting spin, you can even pair chocolate with cheese. 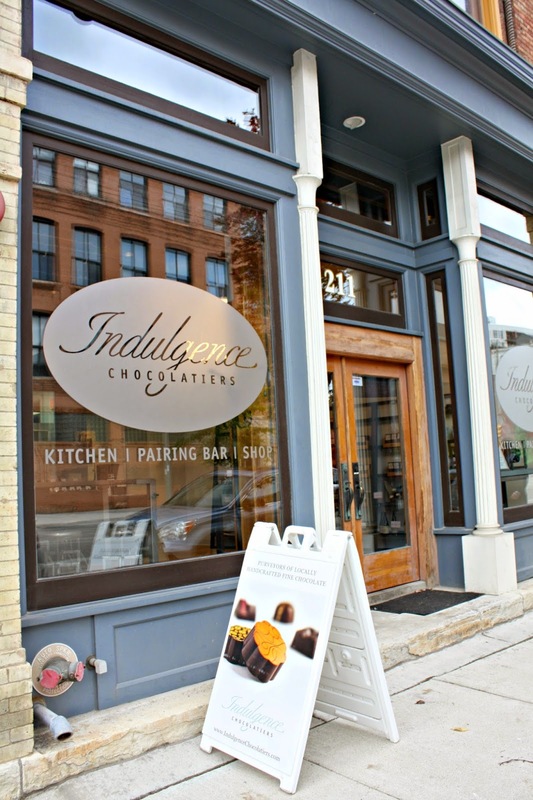 Walking into Indulgence is just like walking into the chocolaterie in Chocolat. Certainly not to be missed! With all of these culinary temptations, you can imagine that Walker's Point is also a spot for a meal! We visited Zak's Cafe for lunch during our visit. Zak's has an ample menu with a wide range of choices. Zak's specializes in breakfast which is served all day. Additionally, the menu has a plethora of selections for both lunch and dinner. We enjoyed salads and soup while visiting. Perfect meals before our walk and future indulgences! Zak's is tucked inside a delightfully old brick building. I loved that local art for purchase filled the walls. So, you may find a souvenir to bring home while enjoying your meal! 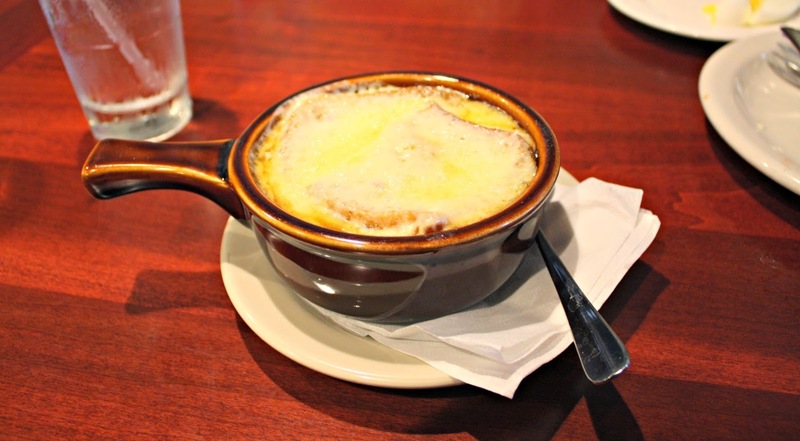 Theresa's food tours seamlessly weave history with food. While walking through Walker's Point, we learned of the fierce rivalry between the founders of Milwaukee that at one point involved cannons. Yes, cannons! I had no idea about this part of Milwaukee history. The rivalry between two of the founders, Kilbourn and Juneau, was so intense that they did not want their street grids to line up. Eventually, the three founders of Milwaukee--Kilbourn, Juneau and Walker--that they were hindering growth and merged their communities officially into the City of Milwaukee. Just an intriguing tidbit of history in between indulgences! 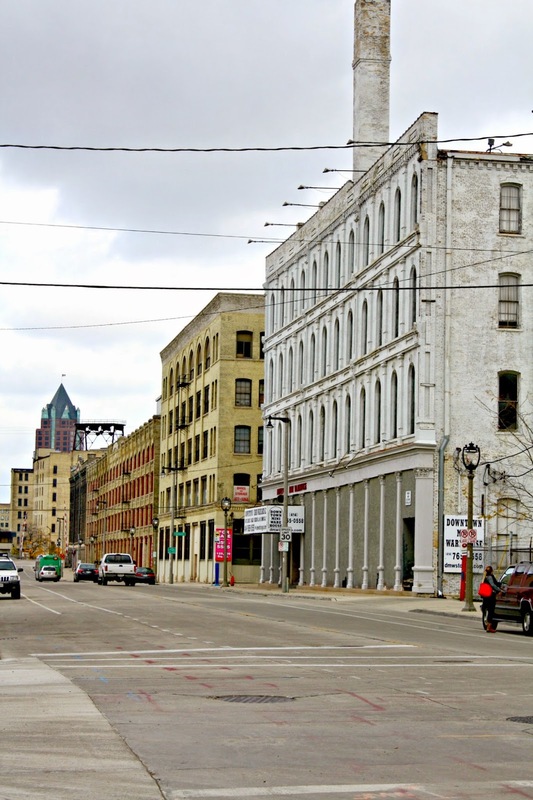 The Walker's Point area is a vibrant and up and coming section of Milwaukee. The stories both old and new make the area of particular interest. The culinary traditions alive and thriving make for an interesting visit. The Milwaukee Food and City Tours provide the perfect way to experience a neighborhood and learn about not only the current residents but those of the past. Guides have a great wealth of knowledge and are able to provide a rich experience pointing out little quirks and distinct characteristics of neighborhoods. The tours are given in a conversational and fun manner. A wonderful way to explore the neighborhoods of Milwaukee! **Thank you to Theresa and Milwaukee Food & City Tours for a great experience! I would LOVE to visit (and eat at) all these places - thanks for sharing! What a fun collection of eating options. I would definitely not have predicted that those places could be found in those older buildings. Love the fact that they are repurposing the old.